He’s the latest addition to the household. 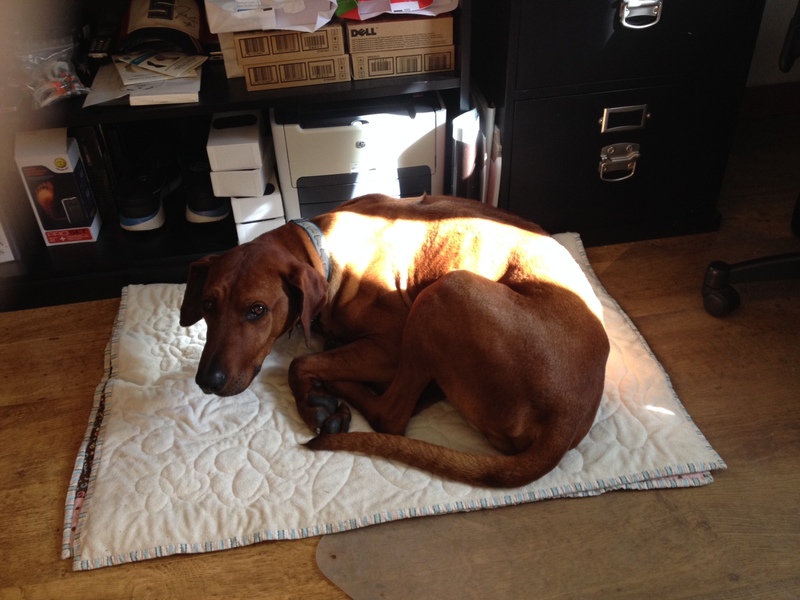 A purebred Rhodesian Ridgeback, this handsome dude lived the first 4 years of his life living in a pen filled with garbage, eating – you guessed it – garbage. He was eventually surrendered to animal control and, long story short, he now lives with us! He’s got no manners, doesn’t know whether he’s coming or going, and is scared of his own shadow. But he’s sweet, friendly, the kids love him and he likes to keep us company. I think we’ll keep him.